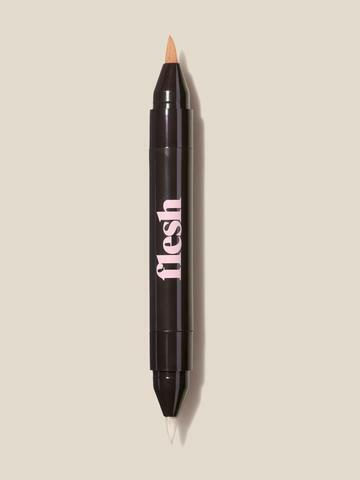 A double-ended, double-whammy concealer that hides whatever you want hidden (we won’t tell): under-eye circles, blemishes, brown spots, broken blood vessels, scars, rashes, beard burn. Each end holds a slightly different shade and texture to cover every need plus two tiny, built-in brushes. It’s lightweight, luminous and brilliantly effective. Remove the cap and twist the base of the side marked “cover” (on first use, it takes a few twists for the product to come out). Try not to overdo it, though. The brush may be stiff on first use; if so, bend it back and forth with your finger until it softens. Dab the concealer under your eyes and on the inner corners, right between your tear duct and your nose. Pat gently with your index finger to blend. Twist the side marked “correct” and tap the brush on red or dark spots—or anywhere you need to color correct. Feel free to use a dot from each end and mix them if your skin is slightly darker or paler than usual. Tip: The brush is coated for hygiene and may be a little stiff at first (kind of like us after a good nap). Before using, bend it back and forth with your finger until it softens. You know how you can never find the perfect concealer? How they’re either too light or too dark? Too thick or too thin? Effective on under-eye skin but woefully inadequate on spots? 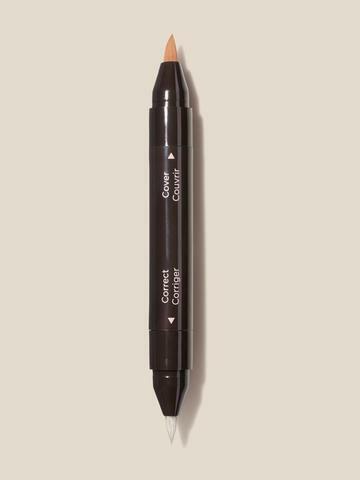 Hide the Evidence Double Concealer tackles every concealer shortcoming by combining two shades and two formulas in one perfect tube. Shades expertly paired to complement one another, and tackle different skin woes. For concealing (cover side): The formula is creamy and lightweight, and produces a cooling sensation on application. 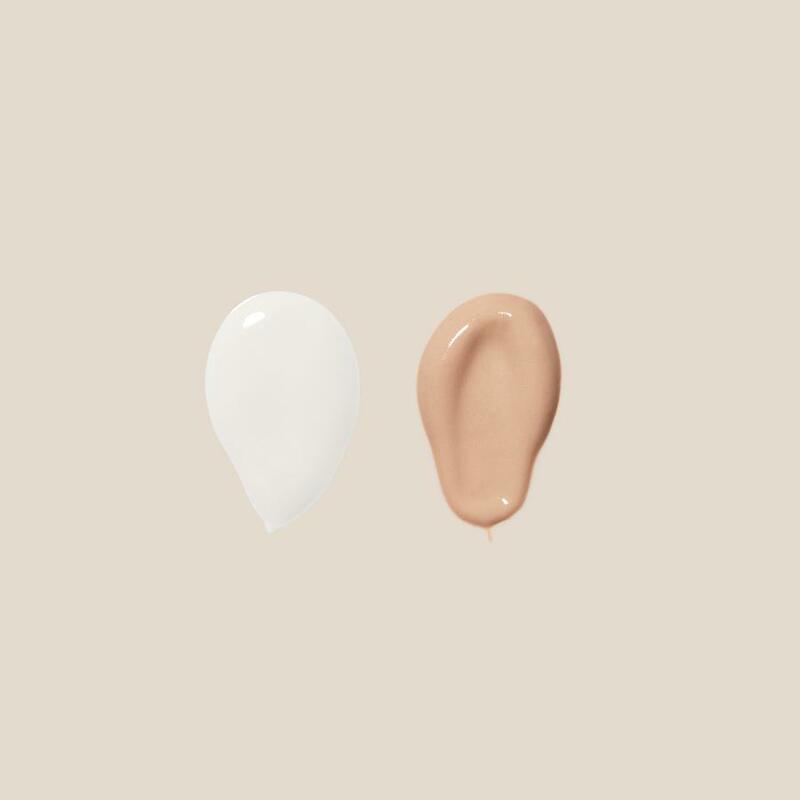 For correct side (correcting side): The smooth formula with has light-reflecting technology to hide imperfections and even skin tone, and pomegranate oil for a smooth, hydrating glide. Contains glycerin to help keep skin moist. Brushes at both ends of the tube make application easy, even around nostrils, on the inner corners of eyes and on small blemishes.